The Big Idea: An emergency kit at home (and in the car and at work!) can help in all kinds of emergencies. 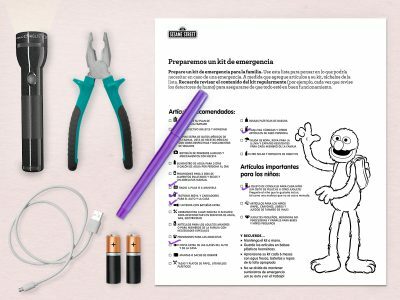 Print this page and ask kids to help you find items for an emergency kit. Start with whatever you have, like an extra water bottle (or an empty bottle or carton that can store water). If you don’t have a backpack to collect supplies, you can use grocery bags or anything that is easy to carry. For the things you don’t have yet, try adding an item or two to your shopping list each week until your kit is finished. With kids, decide on a place to keep the emergency kit. It should be a place where everyone can find it quickly.